Alice trained at Arabian from a young age and started coaching at the age of 14. Academically, she was flying in all her subjects and took off to university to study and achieve her degree. 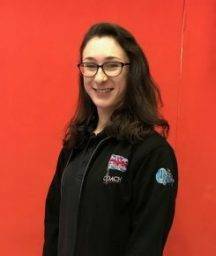 Alice got back into coaching in the summer of 2018 and can be seen helping out for all classes including baby gym.